Taking the best out of home network often requires Wi-Fi access. Nonetheless, it seems that users that turn to an external USB Wi-Fi adapter frequently run into issues. The one we’re referring to today concerns frequent disconnecting. Users are unable to maintain enduring connection and there’s no a solid reason why’s that the case. For that purpose, we provided multiple troubleshooting steps in the list below that should help the ones in need. The first and obvious step is to confirm that the USB Wi-Fi Adapter is actually functional. Trying it out on various PCs should give you a good starting point. If USB Wi-Fi adapter is indeed without malfunctions, we’re afraid that none of the below steps would help you. On the other hand, if it’s performing well and the issues are closely connected to a one PC, continue with the steps below. Also, make sure to try multiple USB ports before you dismiss the hardware and move to the software troubleshooting. Due to frequency band support, USB 3.0 will work exclusively on 5 GHz band, while USB 2.0 is predestined to run on 2.4 GHz, rather. The most probable instigators of connection inconsistency are drivers. The majority of popular USB Wi-Fi Adapters come with the installation disk with the supporting software. However, due to lack of compatibility with legacy motherboards, even the driver provided by OEM’s won’t work every time. Furthermore, a lot of OEM’s skip on a distinctive supporting software and advise you to use generic drivers you usually install on the internal Wi-Fi Adapter. With that in mind, we can choose two ways to address the probable drivers issue. 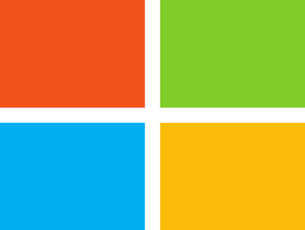 The first way is to reinstall the driver through Windows Update, and the second is to download the drivers manually. Right-click the Start button and open Device Manager. Navigate to Network adapters and expand this section. 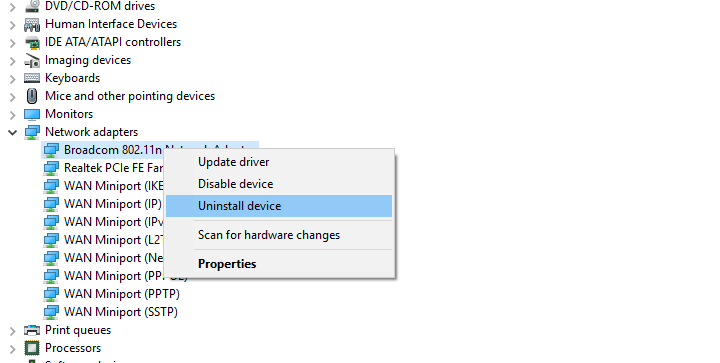 Right-click on the USB Wi-Fi Adapter in the list and Uninstall it. Restart your PC while keeping USB device plugged in. The new driver will install immediately. Expand the ”Network adapters” section. Right-click on your USB Wi-Fi Adapter and choose to Update driver. On the next screen, click on ”Let me pick from a list of available drivers on my computer”. Select an alternative driver and install it. Also, you can google your external adapter online and look for applicable drivers. However, make sure to download only trusted drivers from the official sources in order to avoid malware infections. Besides the standard fuss concerning drivers, another possible reason for underperforming USB Wi-Fi adapter leads to Power settings. There are various Power options involved — some of them related to USB hub and others that reside in the advanced adapter settings. Nonetheless, there are all unified in one system’s goal: to preserve the power consumption by disabling certain features of USB Wi-Fi Adapter. So, in order to resolve this, we’ll need to make sure all related options are disabled. Right-click on the Battery icon in the Notification area and open Power Options. 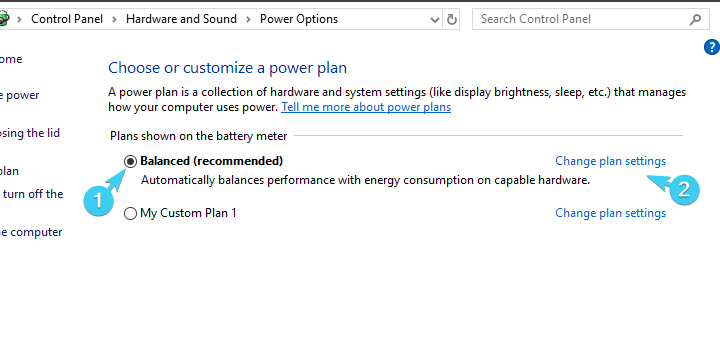 Select ”Change advanced power settings”. Expand USB settings and then expand USB selective suspend settings. Disable this option for both choices and confirm changes. 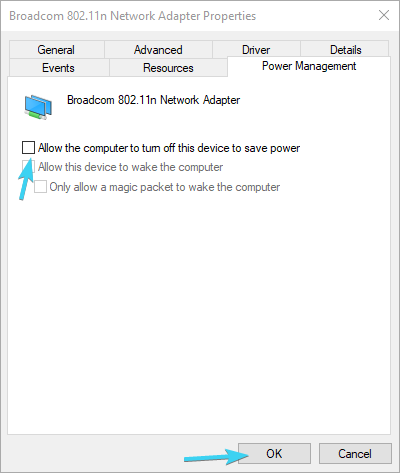 Right-click Start and select Device Manager from the Power User menu. Expand to Universal Serial Bus controllers. 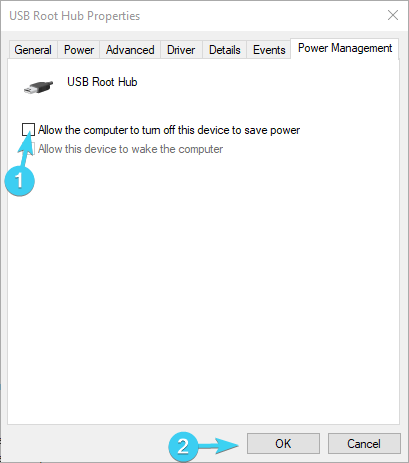 Right-click on USB root hub and open Properties. 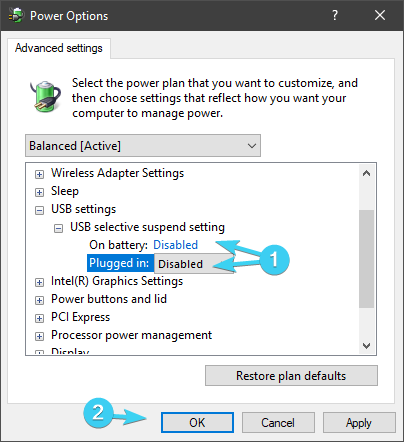 Uncheck the ”Allow the computer to turn off this device to save power” box and confirm changes on every port. Right-click on USB Wi-Fi Adapter and open Properties. 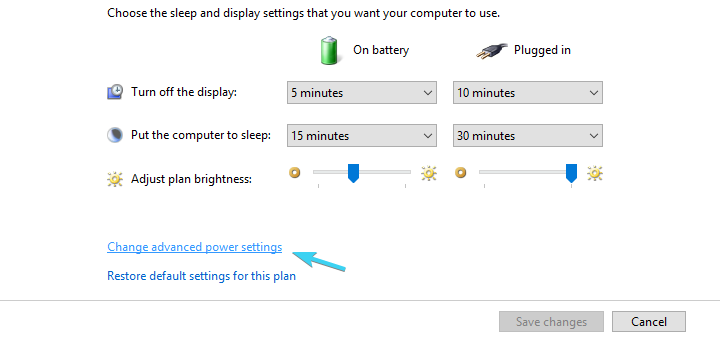 Under the Power Management tab, uncheck the ”Allow the computer to turn off the device to save power” box. Now, under the Advanced tab, locate Selective suspend and disable it. That should do it. 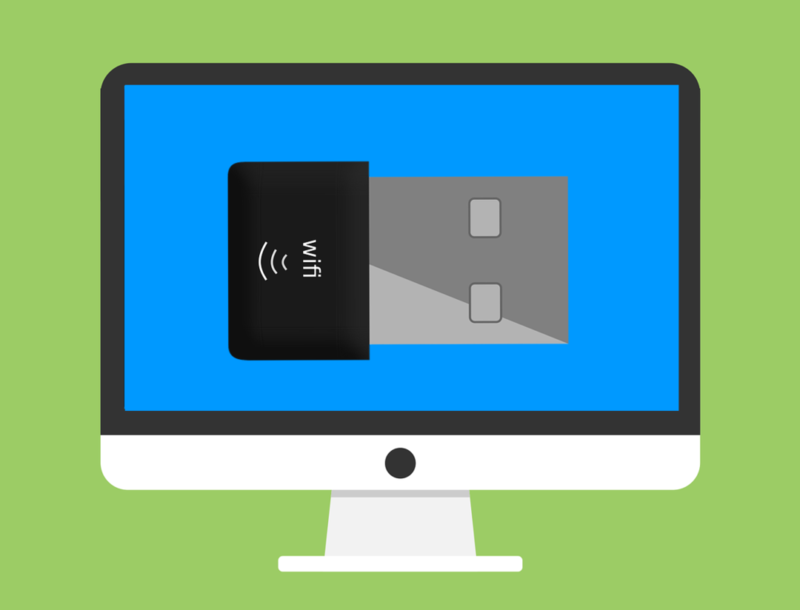 In case you have any questions or suggestion regarding the frequent disconnecting of the USB Wi-Fi Adapter, feel free to share them with us in the comments section.